A pack of cigarettes sits on top of a Buffalo Wild Wings application on the kitchen table in front of Mike Harsanyi. After six years struggling with heroin addiction and two spells in prison, Harsanyi has been living in a sober house in Maryland for five months and he's looking for steady employment. "The job search has not been going good," said Harsanyi, a baby-faced 27-year-old with tattoos poking out of his collar. "I think when you're a drug addict in sobriety with a felony on your record, they look at you different, like you're going to rob their store." Jobs are plentiful in Maryland's Anne Arundel County, which boasts an unemployment rate of 3.1%. But after doing time for an armed robbery committed while he was high in 2015, Harsanyi has so far been turned down for jobs at Valvoline and Jiffy Lube, and is only able to pick up occasional work as a tile setter for another recovering addict he met through his 12-Step program. Harsanyi's experience isn't just hard on him. 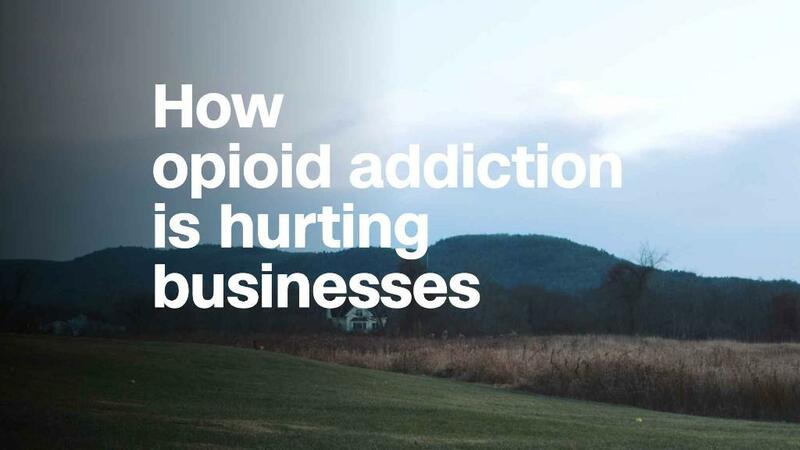 The opioid crisis is turning into a real problem for employers, who are having trouble finding workers in the midst of one of the tightest labor markets in decades. There are nearly 6 million job openings in the U.S. and the unemployment rate, at 4.1%, is at a 17-year low. But the share of people working or looking for work still hasn't recovered from before the recession. Part of the problem: The rise in abuse of prescription painkillers, partially responsible for the 64,000 drug overdose deaths in 2016, has incapacitated thousands of working-age people whom employers would otherwise be eager to hire. And it's concerning officials at the highest levels of government. "Curbing the opioid crisis is of critical importance for ensuring a stable or growing employment rate among prime-age workers," wrote President Trump's Council of Economic Advisors, in its annual economic report. Last fall, Princeton economist Alan Krueger found that the increase in prescribing rates can account for between 20% and 25% of the approximately five-point drop in labor force participation that occurred between 1999 and 2015. "Other countries had severe recessions worse, in many cases, than the U.S.," Krueger said. "Yet they don't face nearly the type of opioid crisis that the U.S. is facing. So I think this is at the moment a uniquely American problem." A map in Krueger's study showing the intersection of opioid prescription rates and declines in labor force participation colors in large dark swaths over much of Appalachia and the Rust Belt. Those economically depressed places have become synonymous with the narrative of opioid addiction as a disease of the downtrodden, fueled by joblessness and despair. But the map also has dark spots in economically healthier areas, like coastal Washington state, northwest Arkansas and central Maryland, where unemployment rates are low and businesses increasingly complain that they can't find enough workers. 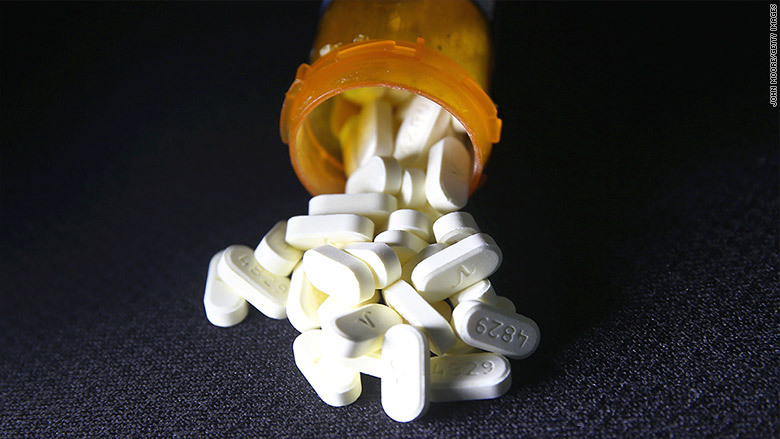 Recent research by University of Virginia economist Christopher Ruhm suggests that while joblessness may have created fertile conditions for opioid addiction, the epidemic's spread was fueled more by the availability of prescription drugs. Overprescribing has stricken communities on every rung of the economic ladder, and it's now becoming a particular problem for places with more jobs than able-bodied workers. "It's coming out of areas where there's a lot of money," said Angel Traynor, who started a sober house for women in Annapolis, Maryland, in 2012 and now runs three of them. Many drug users can work for a while, but things usually fall apart when their habit becomes too expensive, which brings on crippling withdrawal spells. "Towards the end of anybody's addiction, they're not capable of holding a job," Traynor said. Maryland saw a 70% increase in opioid-related deaths in 2016, when 1,856 people died. Although local law enforcement agencies often track overdoses, few governments have comprehensive data on the number of people in treatment for addiction at any one time. Anecdotal evidence, however, suggests that population has grown quickly. As a result, some employers that typically screen drug users out through testing are starting to become less picky, according to Central Maryland Chamber of Commerce president Raj Kudchadkar. "There's definitely a direct impact on the business ecosystem," said Kudchadkar, who has noticed changes primarily in the restaurant and retail sectors. "People have expressed fear about screening, because it might impact their ability to fill positions." 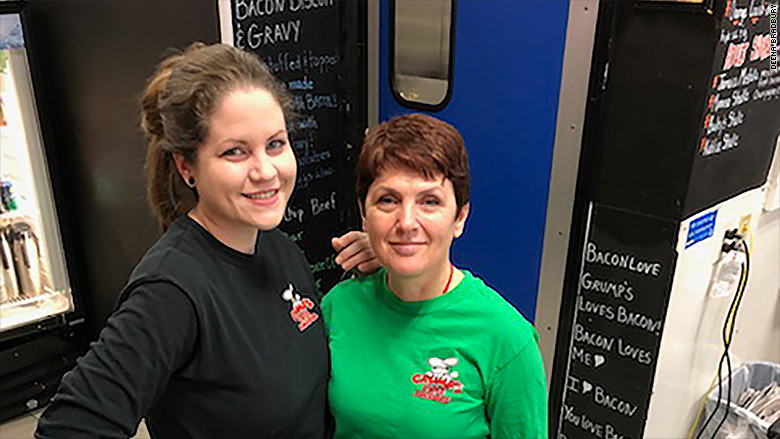 Deena Bradbury (right) at Grump's Cafe with employee, Mehgan Degere. Deena Bradbury, co-owner of neighborhood favorite Grump's Cafe in Annapolis, said it would be hard to fully staff her two locations if she hired based on drug test results. One of her largest sources of labor are nearby sober houses, where residents are required to find a job, and usually don't have a vehicle to travel far afield. Bradbury will hire the people who list those telltale addresses on their applications, but she has to take extra precautions. "Once we realized that there was a lot of folks with this set of circumstances, we changed how we dealt with it," said Bradbury. For example, she makes sure that recovering addicts are honest about any past criminal records, and doesn't assign more than one at a time to the same shift, to make sure they don't negatively influence each other. It doesn't always work out. Some employees relapse and disappear. But those who stay, Bradbury said, can be even better workers than those who've never popped a pill in their lives. "I think they tend to put forth more effort," Bradbury said. "They don't feel like a job is owed them. They tend to earn it." Such tolerance is not an option for all employers. Jobs that involve working with children typically bar people with criminal records. Construction companies, too, are less likely to take the risk of hiring someone who might come to work high and make a fatal mistake while on a ladder or using heavy equipment. In Annapolis, where a lot of construction work happens on government property, those rules are more commonly enforced. But people in the treatment community emphasize that getting former addicts back to work is an essential part of recovery, and want more employers to give them a chance. For Mike Harsanyi, it's another reason to stay on the wagon. "When you're not thinking about yourself, and you're thinking about your job, and wanting to do better, and getting money, you just forget about you and your problems," he said. "I really feel that addicts and alcoholics, once you get sober and once you get an opportunity, you flourish. But getting that opportunity is the problem." Correction: A previous version of this story incorrectly spelled the name of the Central Maryland Chamber of Commerce president.